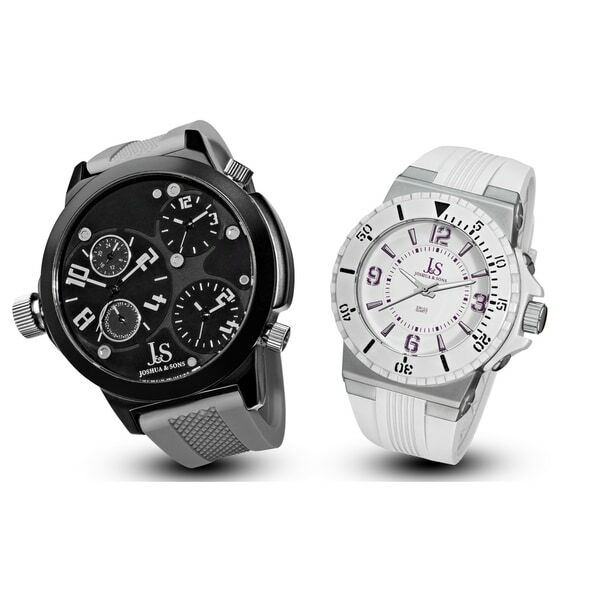 This Joshua & Sons men's sports watch set features durable silicone straps that secure with a tang buckle. One of the watches come in a brilliant black finish, while the other one is in a gorgeous contrasting white. I have only worn the black watch. 8 1/2 hours later it actually fell apart. Had it not been for the man sitting across from me I would have left half of my watch on the bus. Poor quality. Top part of the watch fell off. "After reading these reviews, what happens when these watches start breaking shortly after my purchase?"